Good quality timber lasts for many decades. Some floors have lasted over a century. 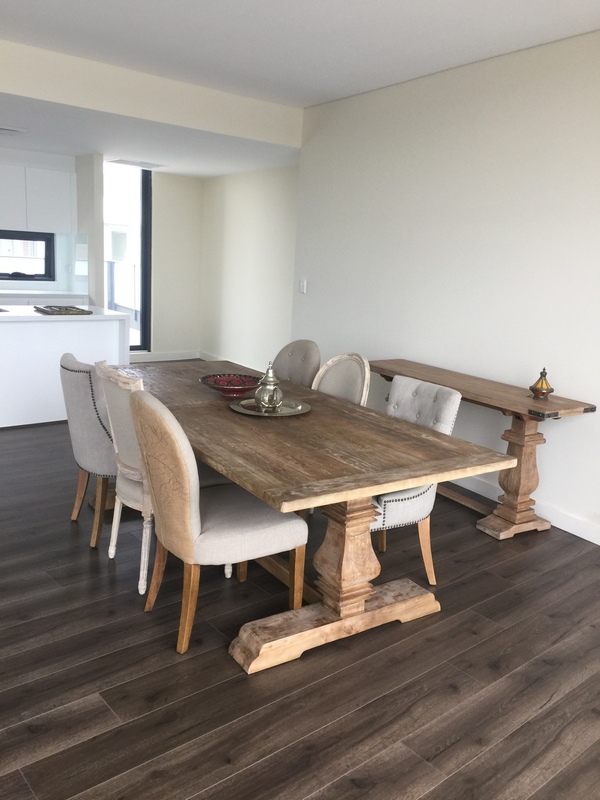 Timber floors are weather versatile. They can be left bare in summer, or covered with rugs in winter for warmth. Bare floors in summer are great for circulating cooler air. Solid Hardwood floors can be sanded down to look like new, removing all signs of wear. A floor that is re-sanded every ten years can still comfortable last a century. Hard surface floors like timber are fairly easy to sweep clean, or to quickly vacuum. Unlike carpets they will not retain dust, dust mites or other, and do not require steam cleaning. Wood works well for underfloor water heating systems. Timber has no issues with allergies. Pets have few issues with hard floors. Wood has a natural, organic look and feel. Synthetic substances try to imitate this. Timber has remained fashionable, even as other room décor changes. Wood is softer on the feet the tiles and stone, and much warmer. It is a simple matter to make it warmer and softer with rugs. Real estate agents claim that buyers like wooden floors; they add to the sale value. Outdoor timber structures are a great addition to many homes. Enjoy the benefits of outdoor living with a stable clean floor and shelter from the Sunshine. We are the timber floor Installers North Shore home owners rely on. Our Brookvale timber Supplies stock the best range of materials and can provide full installation. Subflooring, sound insulation is also available, as well as sanding and polishing.